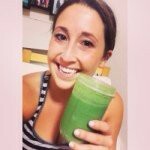 ← New Year… New Cleanse, Detox, Diet? Thanks, Tara for sharing your demon with the world. I understand it’s not easy to tell anyone what we eat when we binge since we feel incredibly ashamed and totally powerless. At the moment I am going through the same experience: having insane amounts of food (sweet, then salty and then back again to sweet) in a very short period of time. As you do, I go buying stuff in several different shops (“binge safari”, as I called them) so that nobody can know how much food I will have. I do that because when I binge my brain goes null for a couple of hours and I can escape from my reality. From the outside, my life looks amazing: I have a good job, I am also completing a bachelor’s degree and I am pretty slim. So nobody can imagine that I am suffering from this disorder. Sometimes I feel like I am totally out of control and that binging is completely destroying my life. The worst part of it is that I am not telling anyone because I am too ashamed and I don’t want to make my friends and relatives worry about me. If things don’t get better in the next weeks, though, I will seek help from a doctor. It is reassuring to know that there are people out there who are struggling in the same way, and I am not a weirdo. Have you solved your binging problem? Has the situation improved since the post? Ok it is so crazy that you just commented on this post!! I literally just remembered about this post last night and re-read it and was crying thinking how COMPLETELY different my life is now!! (For more up to date check out my Instagram @trainingbytarabrunet or podcast “the body mind + soul podcast with Tara Brunet”. I FEEL YOUR STRUGGLE SO MUCH! Yes everything has completely changed for me and no longer ever binge eat or purge, it’s crazy! I just designed a whole course on this. It was a combination of Intuitive Eating and then manifestation and mindset techniques that changed everything for me, and I lost 35lbs in the process!!! I have so much I want to chat with you about in regards to your struggle- can you send me an email or message me on Instagram and we can chat more because I know I can help!! ❤️❤️❤️ I’m so glad you commented!